Although the trend was recently revived, bridal ring sets have been around for years, and the tradition continues as a symbol of love and commitment. Bridal sets are designed to marry the look of the engagement ring and wedding band into one beautiful set, much like the lucky couple! Both rings are designed to complement one another. To put simply, they’re a perfect match! Sets have a classic look of their own. With an elegant bridal set, a uniform look is achieved. If you’ve decided on a bridal set for your special day, we’re here to cover the basics! Of course, first consider your budget, personalities, lifestyle and time constraints. Keeping those objectives in mind, these tips will help you select the right bridal set for the wedding day! First, pick the precious metal for your ring’s band. The classic and traditional option is yellow gold. Other choices are white precious metals such as white gold, platinum or palladium, which are currently popular. Rose gold, with its delicate pink tone, is a trending choice and perfect for a vintage look or the fashion-conscious. Gold is a versatile metal because it is easily malleable and able to transform into many colors, making it an appealing choice. Whereas Platinum is a tough and durable precious metals, but also the most expensive. If this fits into the budget, it is the most recommended metal. A diamond’s cut is responsible for its sparkle. A round brilliant cut exudes the most amount of sparkle, which is what makes it the most popular pick for engagement and wedding rings. 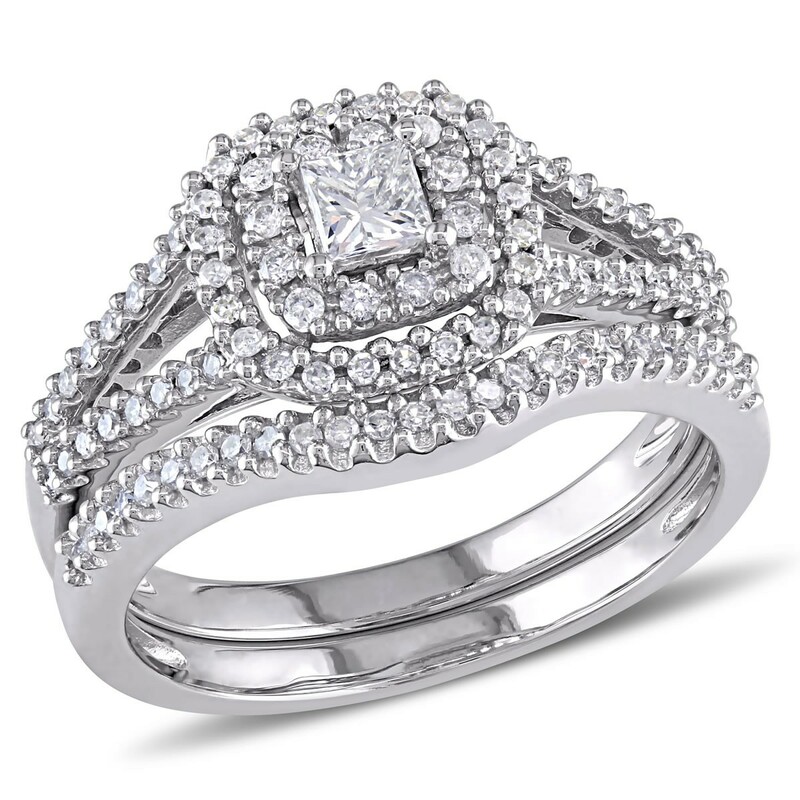 A princess-cut also has similar sparkle to the round-cut. A marquise-cut is two rounded sides tapering to points at the ends and exudes medium sparkle. A pear shape is like a teardrop with medium sparkle. Cushion, emerald and baguette radiate flashes of light rather than a sparkle. Now that you know our top tips to help choose the ideal bridal ring set, don’t delay your ring search. We suggest beginning your ring-hunt at least 2 months before the big day. This will give you enough time to browse, do your research, and try on the rings of your liking. If you wish to customize your ring, you can find several options. However, in this case, you will need to start out earlier, so give yourself at least 4–6 months’ time. 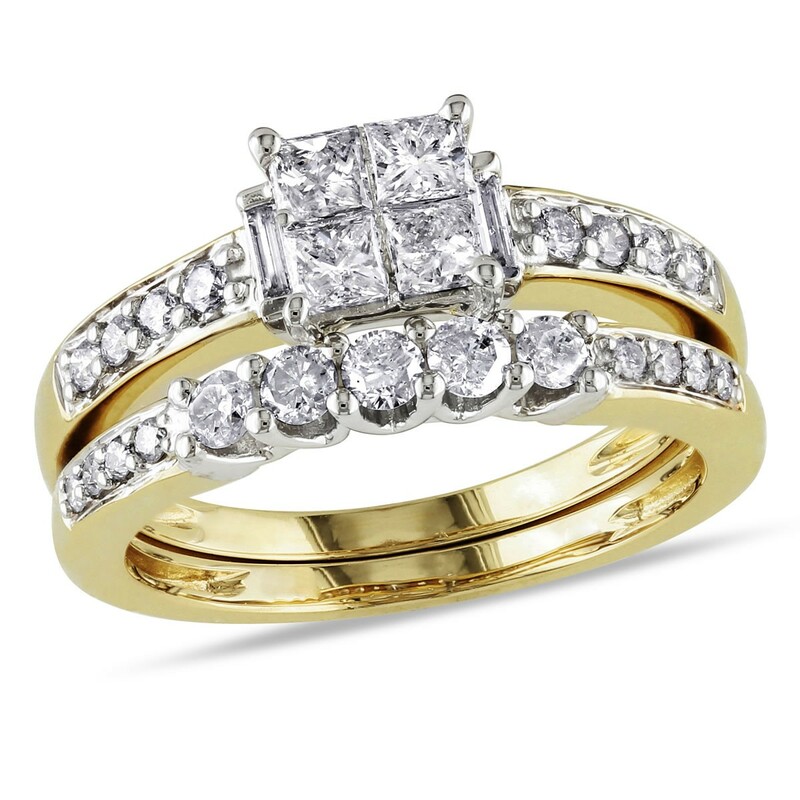 Some of our favorites are white diamond bridal sets, black and white diamond bridal sets and yellow gold bridal sets but to each their own, so make sure you browse for options online and your local stores too. About Author: Sylvia Lobo dons many hats, that of a lifestyle blogger, wife and mom. A fashion lover and style influencer, she thrives on writing, like contributing feature articles for Samuels Jewelers on topics such as Bridal Ring Sets and diamond jewelry, fashion earrings, the latest happenings and trends. She also loves indulging in activities like yoga, cycling, and swimming.